Our one year old son dressed just like our favorite old man, his great grandpa. His dad made the walker from pvc pipe, and i painted it gray. 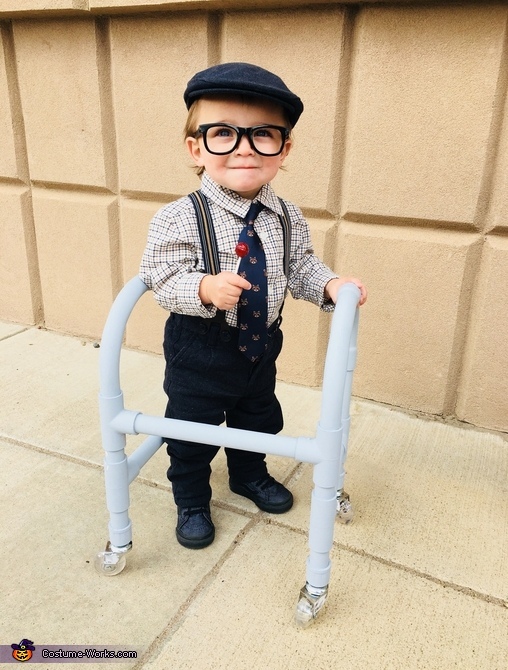 This little old man loved his first Halloween!